Leaders in Training | Kid Reporters' Notebook | Scholastic Inc.
“Hanging out with a purpose” is the motto for teens who belong to the YMCA program called Teen Leaders. Designed for students in grades 6 through 12, Teen Leaders was established in 1955. The club gives students an opportunity to make friends through volunteering and leadership training. I attended a recent Teen Leaders meeting at the Lake Community YMCA in Uniontown, Ohio. 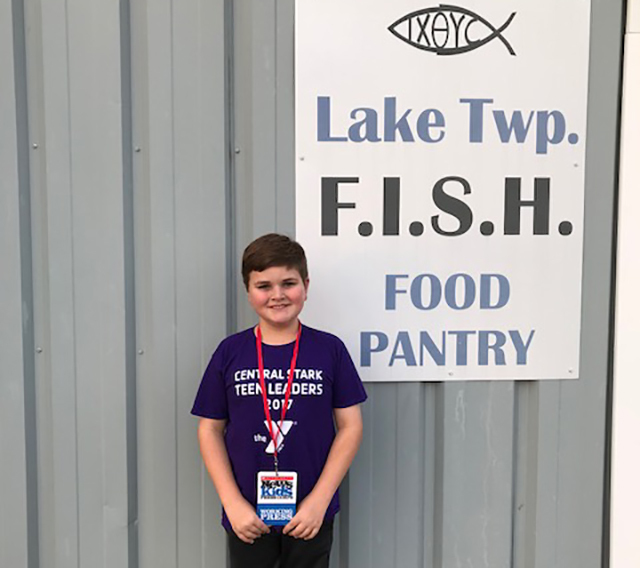 Zachary Piersol, teen and family director, explained that the mission of the club is to strengthen the community by instilling such values as caring and responsibility. During meetings, teens discuss bullying, drugs, respect, and other issues of concern to them. Open dialogue is encouraged. “In the Teen Leaders program, you’re surrounded by people who make you feel like you’re never alone in any situation,” said high school student Logan Jones. Teen Leaders also look for ways to make a positive difference through service opportunities. Students volunteer for YMCA family programs, which include Kids Night Out and Healthy Kids Day, as well as such projects as collecting hats and gloves for people in need during the winter. “At our YMCA branch,” Piersol said, “Teen Leaders enjoy working in the community where they see an immediate impact.” Last year, the Lake Teen Leaders group averaged 100 service hours each, and more than 1,500 hours total. Several times a month, Teen Leaders work at the Lake Township F.I.S.H. Food Pantry, where they distribute food to individuals and families who need assistance. “These young people come with a lot of smiles, energy, and compassion for those they serve,” said F.I.S.H. director Kathleen Schenck. Students who participate in the Teen Leaders program also enjoy a social component, such as dances and sporting events.